There’s perhaps no better place to spend your summer than a beach town and Wilmington, North Carolina, is a popular destination for weekend tourists and beachgoers alike. But Wilmington has so much more to offer besides the surf and the sun. Below are five fun things to do in Wilmington, the next time your Hyundai takes you there. 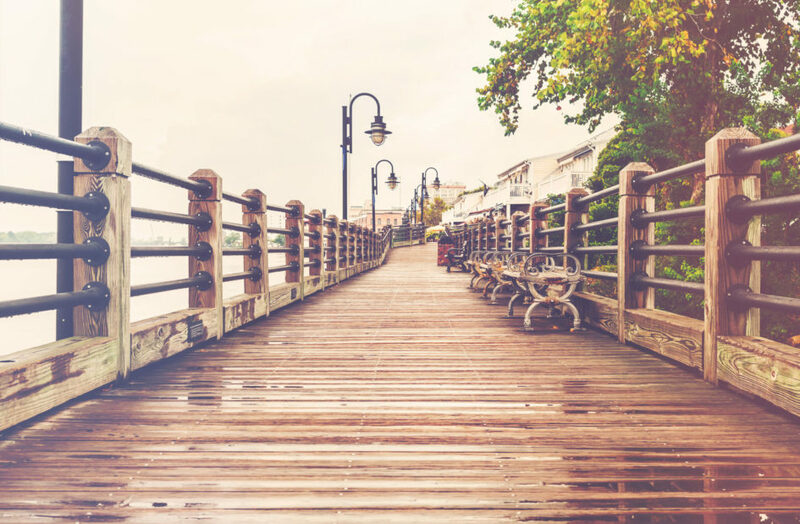 If you have a compact Hyundai Accent, park it downtown and get out for a stroll on this boardwalk that stretches across the Cape Fear River waterfront lined with restaurants, shops and historical buildings. At 230 blocks, Wilmington’s historic district is one of the largest in the U.S. Take the Hyundai Genesis convertible for a great view of the sightseeing or trade it in for a horse drawn carriage, trolley car or riverboat to take in the many churches, gardens, homes and museums that make up this part of town. Pack your friends into your seven-passenger Hyundai Santa Fe and head to Jungle Rapids Family Fun Park for fun with a waterpark, mini golf, go-karts, laser tag, an arcade, a rock climbing wall and more. Wilmington is home to the production of dozens of movies and television shows including I Know What You Did Last Summer, 28 Days and Iron Man 3. Hop in a Hyundai Azera to feel like a movie star and take a tour of Screen Gems Studios to see where the magic happens. Okay, so you can’t possibly go to Wilmington and not visit its famous beaches. The available roof rack and panoramic sunroof of the Hyundai Tucson make it an ideal vehicle for a day on the beach. Our favorite attraction in Wilmington is Parkway Hyundai located on Market Street. Here you’ll find a huge selection of new Hyundai’s and used vehicles of many different makes and models to choose from. If you already have a Hyundai, tune it up at our service department before taking it out on the town or speak to our knowledgeable staff about your vehicle. Come see us today and enjoy your stay in Wilmington.